College students are an important demographic for the retail industry to watch closely and, understanding them and their preferences will enable retailers to offer the student customer a more deeply personalized shopping experience. 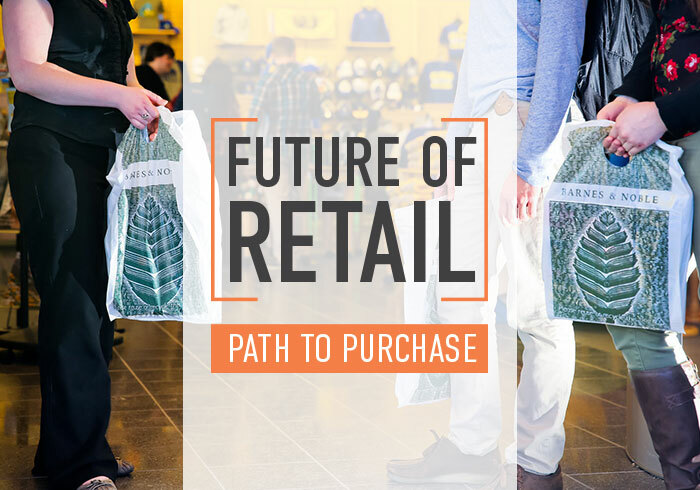 As part of our Future of Retail series, “Path to Purchase” examines the decision-making process of the college student customer. The path to purchase, from start to finish, is rarely a straight line — it’s more like a scavenger hunt. Along the customer journey, one search can inspire an entirely new idea or purchase. With new innovations in online and brick-and-mortar shopping, students are showing an appreciation for the middle ground in how they like to shop. 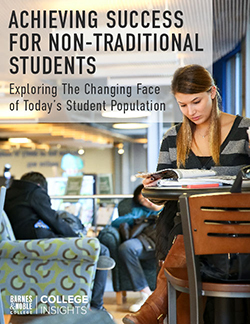 Barnes & Noble College Insightssm Future of Retail study reveals that for a single purchase decision, it is common for students to use an omni-channel approach, combining both virtual and physical shopping experiences. In fact, nearly half (47%) of students said they use a combination of online and in-store shopping along their path to purchase. Students also overwhelmingly (89%) prefer to shop in-store for the ability to see products in person. 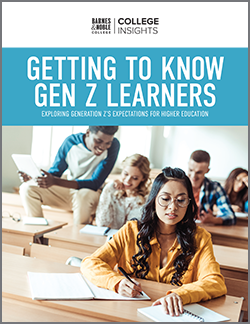 Understanding how college students make their buying decisions is essential to reaching and keeping this important college shopping demographic. Here are some important takeaways to consider. Reach students where they are and deliver a consistent experience across all channels. Highlight your delivery options (order online, free pick-up in-store). Be helpful and transparent throughout the research process, establishing your brand as a trusted resource early on. Focus on the customer journey and maximize your presence in places where students may consider related products. Don’t forget mobile in the research and shopping process. Mobile device searches now outnumber searches on desktop. Later this month, we’ll explore the student mindset shift from spender to saver in the Future of Retail: Changing Shopping Attitudes/Emotions.